One of the key figures in the creation of A$AP Rocky's new album "At.Long.Last.A$AP" has a quick Q&A with HotNewHipHop. As physical copies of albums become more and more elusive, and the younger generation turns to iTunes or Spotify to cop/stream new albums, we're missing out on a fundamental element to that very first listen of a new LP-- opening up the packing and looking through the liner notes with a fine tooth comb. An album's liner notes often reveal surprising facts about the creation of the project, from background vocals to the engineers to the producers. With an album as complex as A$AP Rocky's A.L.L.A., the full list of production credits is pretty important. There are so many names attached to one song, whereas we tend to focus on the surface level of a record-- the main producer, featured artists. Thus, we decided to dig deeper into all the people that are credited on Rocky's album. Among the interesting revelations, Christina Milian is credited with background vocals on "West Side Highway," while 2 Chainz has some on "M'$." However one more mysterious name popped up so frequently that we had to reach out. Hector Delgado. Read on to find out more about who he is and the role he plays. HotNewHipHop: For those completely unaware, who are you? 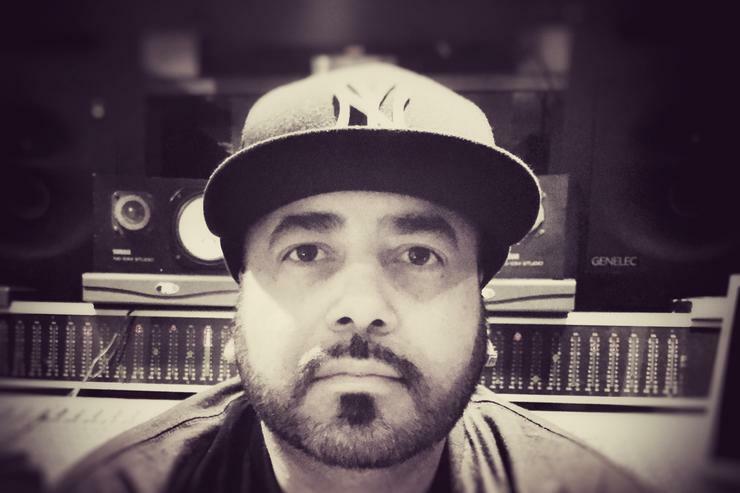 Hector Delgado: I am a music producer, engineer and DJ from Puerto Rico and I currently reside in Los Angeles, California and my studio is based in Van Nuys. HNHH: Did you go to school or have any formal training as an engineer or composer? HNHH: How did you end up connecting with ASAP Rocky for his debut album Long.Live.ASAP? Hector: Through Bryan Leache at Polo Grounds, Manny Smith at Interscope and A$AP Yams. From there I started working as Rocky’s engineer and we started collaborating on music-- that's how “Suddenly” “Fashion Killa” & “Jodye” came about. HNHH: How did your relationship transition from just those records to being a co-executive producer on his latest album, and basically having a credit on every single song? Hector: I became Rocky’s musical director and DJ along with JScott on tour, and from there we started recording on the studio bus and continued to work ever since. HNHH: What does that roll [musical director] entail, specifically? Are you responsible for bringing/finding new artists and sounds for Rocky? Hector: As far as being his musical director, I am one of his tour DJ’s and I am part of a team that helps put together the entire show from track order, to setting up everything for Rocky. HNHH: There were a lot of new faces on the album, from Bones to Joe Fox, to Vulkan the Krusader. Were those discovered all by Rocky himself or who brought what to the table? Hector: Rocky and I met Joe Fox together in Soho in London. As far a the Vulkan track, I never had the pleasure of working with him in the studio, it was more of a sample that Rocky liked and I chopped it up for the beat along with Jim Jonsin and Finatik n Zac. We did “Excuse Me” the first day & “L$D” the next day. HNHH: You also worked on A$AP Ferg’s Trap Lord— do you see yourself working with more of the ASAP Mob as well? Their website is listed on your Twitter bio, so I’m wondering how deep the affiliation runs? Hector: Yes I work a lot with A$AP Ferg, I mix everything for him and also produce. I would consider A$AP as my family. I don’t have a cool A$AP name but that's definitely my family and I am currently working on Ferg’s, A$AP Twelvy and A$AP Nast’s projects. HNHH: Those three other A$AP Mob albums-- are you wearing three or four different hats for all these projects like you did with Rocky, or is it strictly for engineering? Hector: Yes, it will be a similar situation to Rocky’s album where I will be wearing several different hats. HNHH: So following Long.Live.ASAP you have engineering credits on a few more popular rap albums released in 2014—ScHoolboy Q’s Oxymoron and G-Eazy’s These Things Happen and Tinashe’s Aquarius. Obviously you do everything from mixing, engineering, composing, producing etc. When are you happiest? Do you think any of those albums transpired because of your work with Rocky, or was it all unrelated? Hector: It was an honor to work on the ScHoolboy Q project, I am lucky enough to be one of the only outside people to work with TDE since they’re a very tight nit group. Mixed By Ali from TDE actually helped us on A.L.L.A., we have a great relationship, it’s about making great art. I’m happiest doing music and creating art in any form whether it be DJing, producing or engineering. HNHH: Do you see yourself connecting further with the TDE label? Perhaps working on other artists' albums on their roster? Hector: TDE is family, we have a great relationship and I have worked with everyone on their roster. It's always a pleasure to work with them and I hope to continue to build with them in the future. HNHH: Let’s bring it back to the new album, At.Long.Last.A$AP. You’re a co-executive producer alongside Danger Mouse, ASAP Yams, Rocky himself, Juicy J, Chace Johnson, Bryan Leache and AWGE. Was it hard to keep it to one specific vision with so many people having input on the project? Hector: Everyone that Rocky involved in the project had a team player attitude and our only vision was to make a great piece of art. Follow Hector on Twitter and on Instagram (@HectorDelgado).